Do you feel in control of the body that you see? 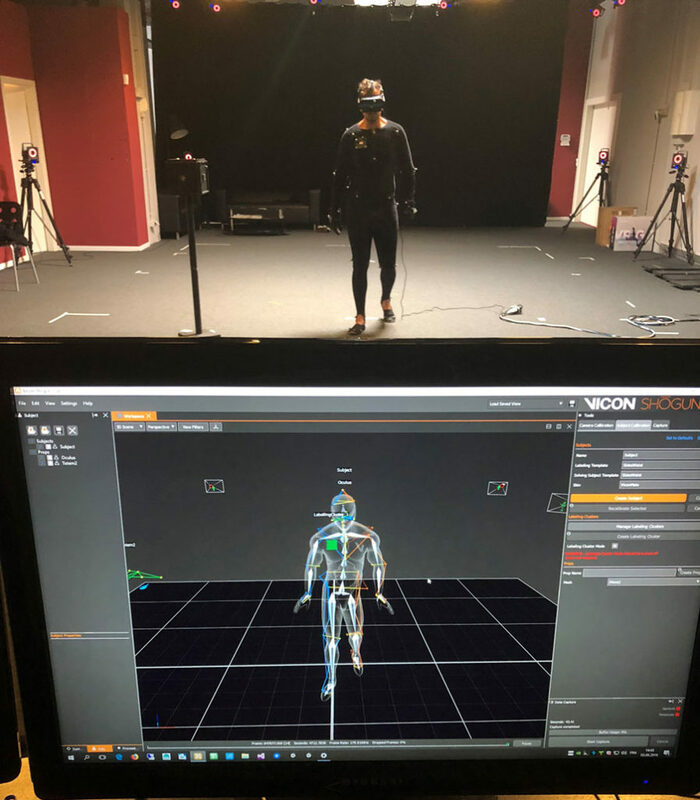 This is an important question in virtual reality (VR) as it highly impacts the user’s sensation of presence and embodiment of an avatar representation while immersed in a virtual environment. 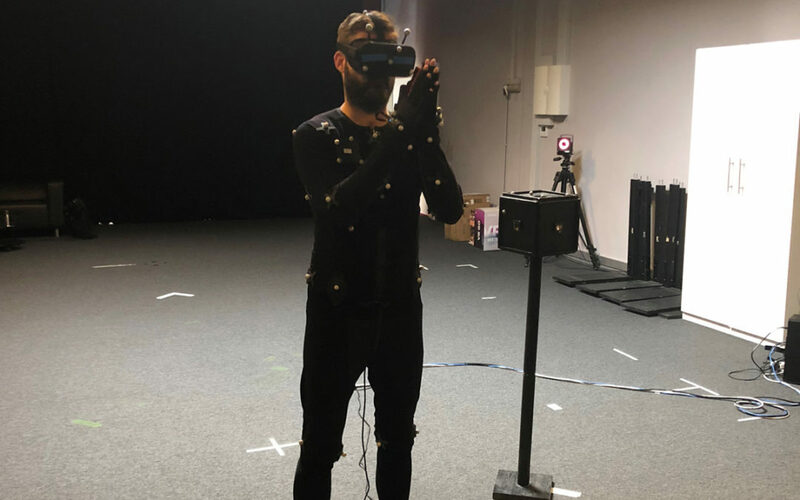 To better understand this aspect, we performed an experiment in the framework of the VR-Together project to assess the relative impact of different levels of body animation fidelity to presence. 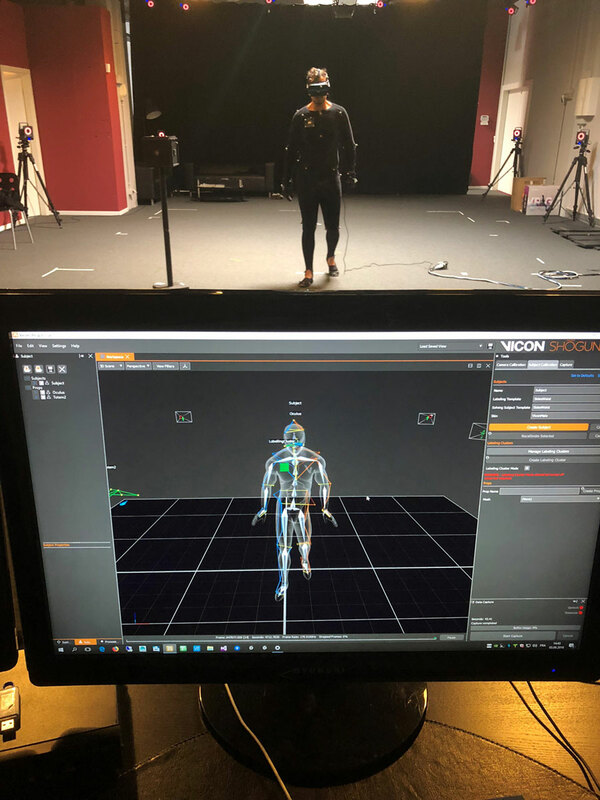 In this experiment, the users are equipped with a motion capture suit and reflective markers to track their movements in real time with a Vicon optical motion capture system. They also wear Manus VR gloves for fingers tracking and an Oculus HMD. At each trial, the face (eye gaze and mouth), fingers and the avatar’s upper and lower bodies are manipulated with different degree of animation fidelity, such as no animation, procedural animation and motion capture. 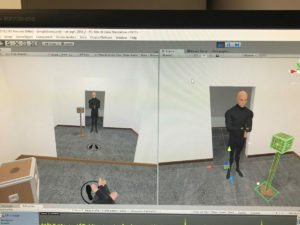 Each time, users have to execute a number of tasks (walk, grab an object, speak in front of a mirror) and to evaluate if they are in control of their body. 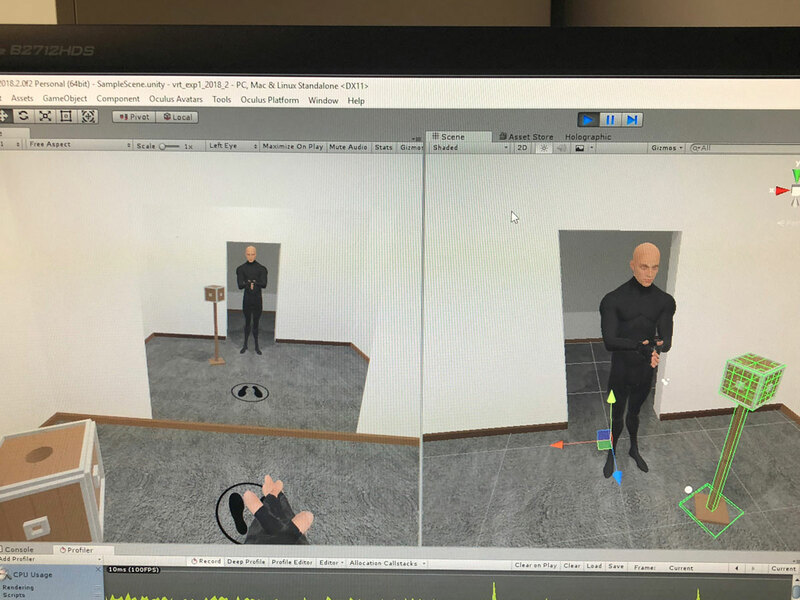 Users start with the simplest setting and, according to the judged priority, improve features of the avatar animation until they are satisfied with the experience of control. Using the order in which users improve the movement features, we can assert on the most valuable animation features to the users. 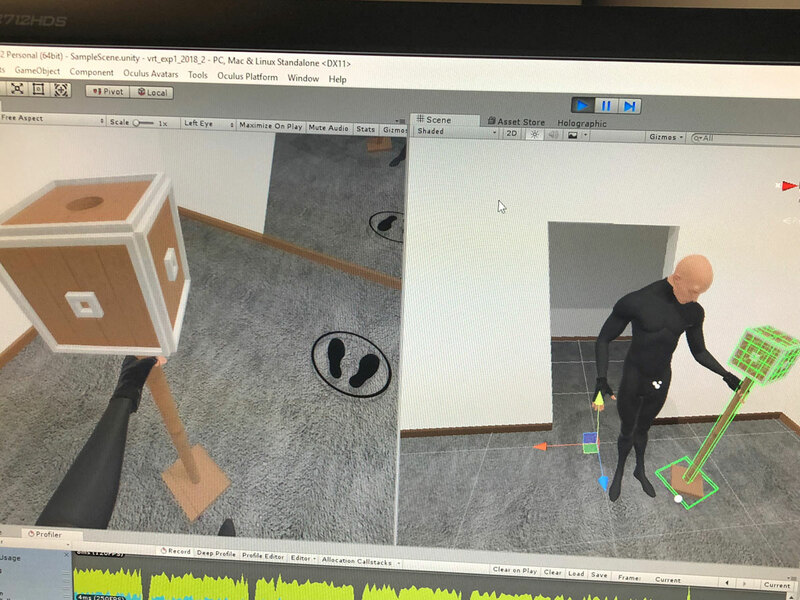 With this experiment, we want to confront the relative importance of animation features with the costs of adoption (monetary and effort) to provide software and use guidelines for live 3D rigged character mesh animation based on affordable hardware. This outcome will be useful to better define what makes a compelling social VR experience.